Passengers on scheduled international flights increased by as much as 41% in June. Denmark’s third biggest airport, Aalborg, is fuller than ever with families this holiday season as it continues to post record passenger figures each month. More than 150,000 people used the airport in June, making it the sixth month in a row with continuing growth. Exactly 150,658 passengers travelled to or from AAL in June, up from 139,125 in June 2017, a rise of 8.3%. So far in 2018, the total growth rate has also been 8.3%, according to new figures released by the airport. Domestic traffic showed a 3.6% increase, with 73,227 passengers using Aalborg against 70,686 passengers in June 2017, meaning 2,541 more domestic passengers. “In July and August, businesses tend to significantly decrease their travel activity, so it is positive to have an increase here in June,” says Aalborg Airport CEO Søren Svendsen. 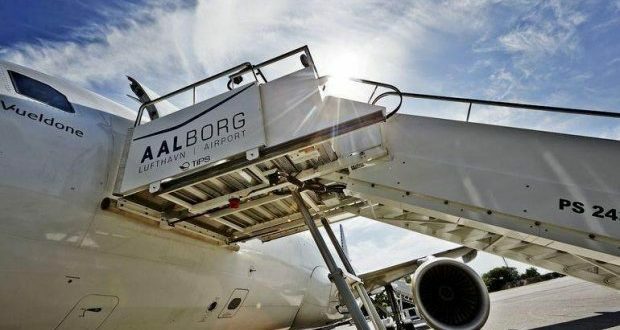 During the same month there were 54,342 passengers on scheduled international flights to and from Aalborg, an increase of as much as 41% year-on-year. However, there was a 22.8% decline in the number of charter travellers. “Spain is the preferred travel destination for holidaymakers from Aalborg Airport, offering a multitude of flights to Malaga, Majorca, Barcelona, Alicante and Gran Canaria, both as scheduled flights and as charter products,” Svendsen says. The high demand for Spain has also meant that Norwegian is prolonging its period for flights to Majorca until December and is also upping capacity to Malaga.